Taking the next step towards Jesus – wherever we’re at – can be hard to figure out on our own sometimes! 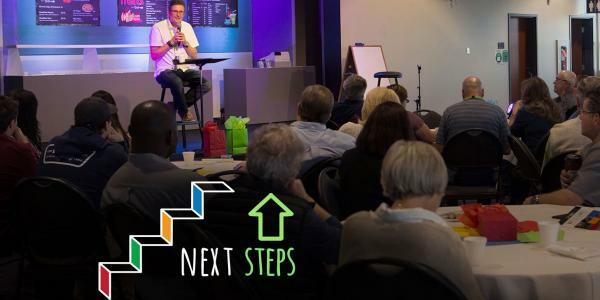 Next Steps is an evening designed for everyone at FAC, to help us move forward together in living lives that honour God. If you joined us in January, come again this spring to take in one of the other breakout sessions! Come for dessert with some of our pastors and your choice of breakout session that will help you get intentional about: CONNECTING with others by joining a small group, GROWING in your faith by becoming more like Jesus, SERVING God by serving others, and SHARING Jesus’ love wherever He places you. There’s no cost, and free childcare is available but please pre-register online so we know you’re coming!